Accused investment swindler Bernard L. Madoff will plead guilty later this week to 11 counts that could bring a sentence of 150 years in prison, one of his attorneys told CNN. “There is no innocent explanation,” Madoff told two FBI agents, according to the complaint, which states Madoff expects to go to jail. Madoff was charged in December with one count of securities fraud, which carries a maximum sentence of 20 years in prison. He has remained out on $10 million bail, but is confined to his luxurious Upper East Side apartment. In court documents, prosecutors said Madoff had run his scheme “from at least the 1980s until his arrest on December 11, 2008, … by soliciting billions of dollars of funds under false pretenses, failing to invest investors’ funds as promised, and misappropriating and converting investors’ funds to Madoff’s own benefit.” The charges also say Madoff’s company, Bernard L. Madoff Investment Securities (BLMIS), claimed that as of November 30, 2008, it held 4,800 client accounts worth about $64.8 billion. “In fact, BLMIS held only a small fraction of that balance on behalf of its clients,” the documents say. 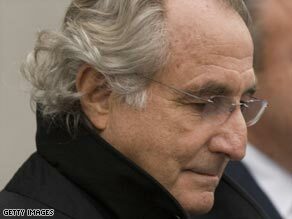 Madoff is scheduled appear at a plea proceeding on Thursday before U.S. District Judge Denny Chin. Chin also ruled Tuesday that Madoff can keep Sorkin on as his attorney after Madoff said he was satisfied the attorney was representing his interests despite potential conflicts of interest. Sorkin told the government he invested $18,860 with Madoff in the early 1990s through a retirement account that had been set up with his former law firm and was later transferred to another brokerage firm in 1995. Also, Sorkin’s late father held an account with Madoff, the proceeds of which were eventually distributed to trust accounts for Sorkin’s two sons. Sorkin also has represented a Florida accounting firm, Avellino & Bienes, which invested with Madoff.